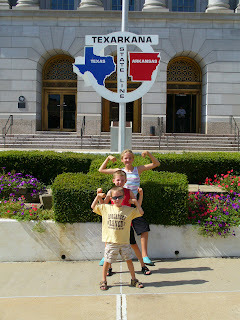 Kids at the Texarkana Post Office and Federal Building. Half in Arkansas and half in Texas! 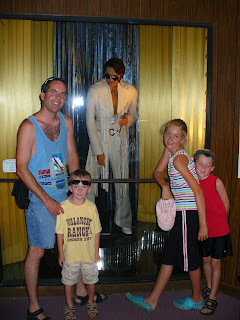 Eric , kids and the king. Wax museum in Hot Springs, Arkansas. 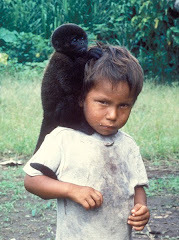 Eric and Adrianne playing in the pool in Saltillo, Mexico. August 1. Hi Eric, Renee and kids.